It belongs to wolf spider family that has a unique eye pattern, however, Kaua’i Cave Wolf Spider is totally different having no eyes at all. It is also known as “no-eyed, big-eyed wolf spider.” Kaua’i Cave Wolf Spider can reach up to 0.75 inches in length. It has designed three large teeth for eating its prey. It catches its prey by running behind and grabbing it from the backside. It loves to eat Kaua’i Cave amphipod. The species is endangered because of habitat loss, Human development, and agriculture. Also, use of chemicals and pesticides for killing ants and cockroaches also casing decrease in population of spiders. There are various steps being taken to control and protect their survival. Also, read about strongest animals in the world. It looks very similar to axolotl which is one of the beautiful pink animals on planet earth. Olm is native to the underwater caves of Croatia, Slovenia, Italy, Herzegovina, and Bosnia.Olm has two eyes but its covered under the fine layer of skin. Olm cannot see anything but it has a natural sense of hearing and smell which helps them in navigation and finding food. Olm used to moves his body like a snake while swimming in water. It is a carnivorous animal that loves to eat larvae, aquatic insects, worms, and snails. A unique feature of Olm is that it can survive without food for almost 10 years. During this period it will use glycogen and lipids stored in the liver as food.Olm’s are critically endangered and to protect them from extinction, French scientists started a project in which they have taken the group of Olms and provided them same cave environment they are living in before. Now, they have around 400 Olms in France.Olm can survive 50 to 100 years in their homeland. Also, read about amazing bioluminescent animals on planet Earth. It is also known as the “Flower Pot Snake” because it came to the United States with imported plants. The look is somewhat similar to an earthworm. The Brahminy Blind Snake body is not segmented like other snakes. Also, it can only upto 4 – 6½ inches and hence listed as one of the smallest snakes in the world. There are only females brahminy blind snakes, no males. Actually, development of egg cells division starts without male sperm. The Brahminy Blind Snake loves to eat insects, insect larvae, and termites. Talking about the appearance, the Brahminy Blind Snake can be grayish black to shiny dark brown in appearance. However, throat, lip, chin can vary from yellow to white. The scales on the body of the snake are shiny and smooth. These species are native to southeastern Asia but because of the selling of greenhouse materials, these were carried to other places around the world. You must also know about aquatic animals with mind-blowing superpowers. It is also known as known as blind tetra and somewhat related to piranhas. The Brazilian Blind Characid native to the caves located in northern Minas Gerais, Brazil. The species is blind and even lacks pigmentation. It can grow up to the size of 4.6 cm. Dr. Cristiano Moreira said, “This species seems to be the most threatened underground fish species in Brazil”. We don’t have much information about his lifestyle or diet.It was known to have almost half a century earlier. However, it was rediscovered in 2010. You must also read about most beautiful nocturnal animals in the world. Star-Nosed Mole is completely blind and uses its 22 tentacles around their nose to use detect its prey. These tentacles have around 25,000 sensors which make this species highly conscious.They are the first known mammal that can smell underwater and are excellent swimmers. Star-Nosed Mole has a strong front claw which helps them in digging and swimming. It loves to eat worms, fish, insects and many invertebrates that live in water. These species are native to southeastern Canada and the northeastern United States. It is one of the ugliest animals in the world. They prefer places having damp soil near water. One of the strange looking animals can grow up to 20 cm long. It uses the star-shaped organ called the Eimer’s organ on its nose to detect its surroundings. Also, read about endemic animals of Galapagos Islands. It looks similar to a snake, However, it’s actually more closely related to the salamanders. Talking about its appearance, Atretochoana is grey in color and can grow upto 3ft long. This new species is one of its own kind and definitely not a snake. It is the largest known caecilian. Let us talk about caecilian, it is a typical predator that loves to feed on worms, small fish, and other aquatic invertebrates. These species are almost blind and navigate with the help of smell. It was discovered by Sir Graham Hales in the Brazilian rainforest in the late 1800s, however, it was rediscovered in the year 2011 by the engineers working on a hydroelectric dam project in Brazil. You should also know about Heaviest Animals in the world. Leptodirus Beetle is eyeless and lacks pigmentation. 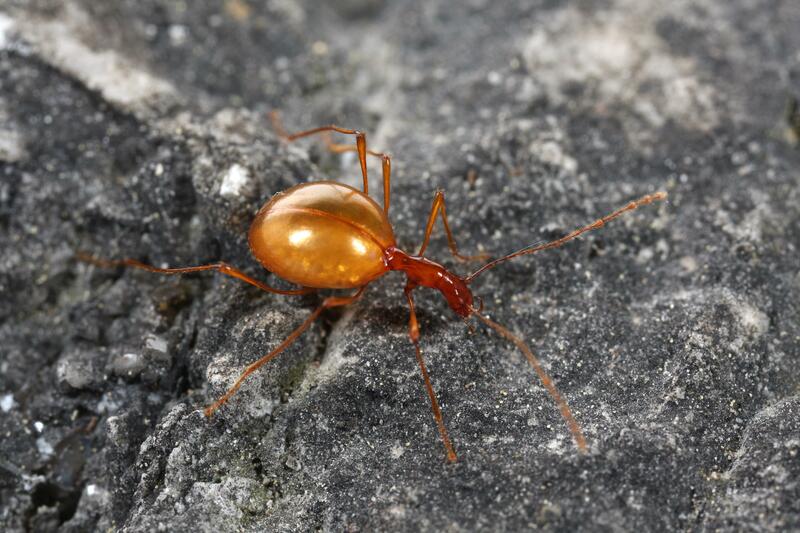 These species live in extreme darkness under the caves with the help of long antennae and legs that are extremely sensitive to vibrations.Its native to Italian, Slovenian and Croatian. They mostly feed on organic material that can be both animal and vegetable origin. It is one of the most amazing blind animals in the world. Also, read about weirdest looking animals. Blind Crayfish lacks eyes and have highly sensitive touch and smell senses that help them to survive in the dark. Let talk about the appearance, Blind Crayfish body is colorless and translucent. These species are native to cave systems in the southeastern United States. They also have two pairs of antennae and five pairs of legs like other crayfish. The female species of crayfish used to little larger than male. Talking about its underground aquatic habitat they are one of the largest animals. It is also known as crawfish or crawdads and looks similar to small lobsters. These species are normally seen in lakes, streams, rivers, marshes, and ponds. Kentucky Cave Shrimp lives in the darkness of the caves and hence it does not require eyes.It has a pair of antennae and little shorter pair of antennules locate don its head that helps him to touch, feel and taste its food. It is also called Mammoth Cave shrimp because it can only be seen in Mammoth Cave system of Kentucky. It usually swims slow underwater, however, if disturbed it quickly comes to the top. It is also one of the four cave shrimps known in the United States.The Kentucky cave shrimp was designated as endangered on October 12, 1983 by U.S. Fish and Wildlife Service.Its body shape is very similar to crayfish. Hudra has a radially symmetric body that lives in fresh water. These species can be seen all around the world. It lies in the shape of the tube and multiple planes are visible if you can see from head-on. To feed himself, Hydra used to extend it tube-shaped body and traps prey in its tentacles. It belongs to the same group as jellyfish. Hydra can reach up to size of 30mm long when fully extended. Hydra is not visible with naked eyes, we need to take help of hand lens or microscope to view them properly. The body of Hydra composed of two layers and consist of seven different type of cells. The Hydra usually feeds on Daphnia ostracods and reproduces by budding. How many of these blind animals did you know? Please tell us in comments.